Okay so a headline with Brexit in it doesn't exactly fill everyone with joy. I'm not actually talking about Brexit itself or any of the political stances surrounding it. As the CEO of a benevolent charity, I have the 'simple' task of dealing with its impact in whatever form it comes. More importantly, I have to deal with the unintended consequences of Brexit. Yesterday it started snowing and the usual UK response followed, blocked roads, screaming headlines in the tabloids and so on. All very 'normal' when we get half an inch of snow; spare a thought for North America and Canada with -48! And many feet of snow! Anyway, I digress. One of the impacts of Brexit is a weakening of the pound against the dollar. Oil is priced in dollars and as such that means that energy prices paid by you and me have increased. The Joseph Rowntree Foundation have stacks of data showing that fuel poverty is having a real impact on people's lives. Recent research by the Energy Trust has shown that 40% of people are frightened of turning the heating on in cold weather because of the cost implications. 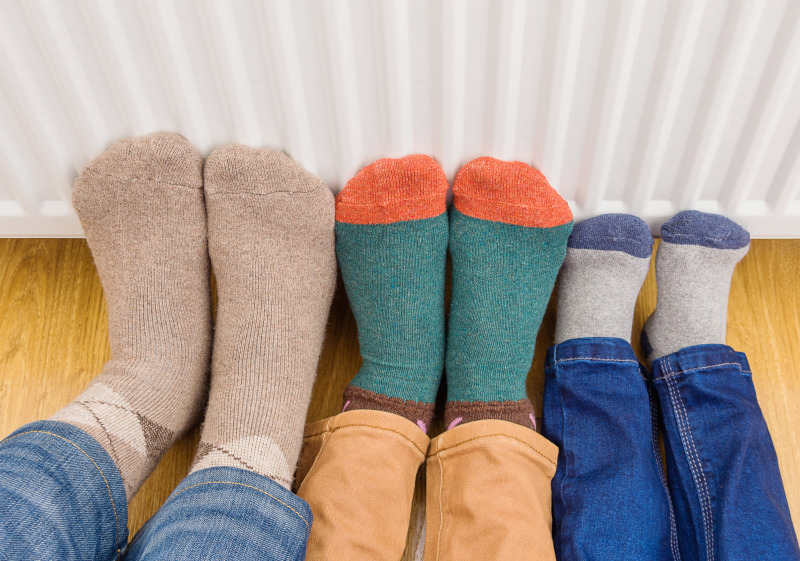 A third of people have stated that they can't heat their homes sufficiently. Statistically, that means that it isn't just confined to retired people on low pensions or the unemployed. It is impacting those in work too. I live in Wiltshire and the temperature overnight dropped to -7 degrees centigrade the other day. In my book that's seriously cold. So what do we do? Ignore it and pretend that it isn't happening or take a deep breath and help? At the Rainy Day Trust, we have a winter fuel payment of £50 payable direct to your energy supplier so that during this exceptionally cold weather you can turn your heating on without worrying about the cost. We usually confine our assistance to those earning less than 60% of the average national wage, or about £16-20,000 a year depending on your personal circumstances. But...... as energy prices have increased, the proportion of their disposable income that families have to spend on heating is rising, so this year we have tweaked it up to £25,000. This is not in any way a statement regarding pay policies of firms. It is a consequence of rising energy bills and how their reach is working its way up the pay scale. That salary equates to £396 a week after tax, from which families are paying rent or mortgage, food, petrol, clothing and so on. So, if you are married with two kids, then when cold weather strikes, things get stretched. Having us pop £50 direct into your energy account can make a massive difference, and employers can demonstrate very clearly to their staff that they are working in partnership with a charity to look after them. In an ideal world there wouldn't be a need for us to do this because central government would have it all sorted. But we live in an imperfect world, so here we are. Someone said to me the other day that £25,000 was a great salary, and so it is when everything is normal. But right now, the weather isn't normal, so we are doing something about it.